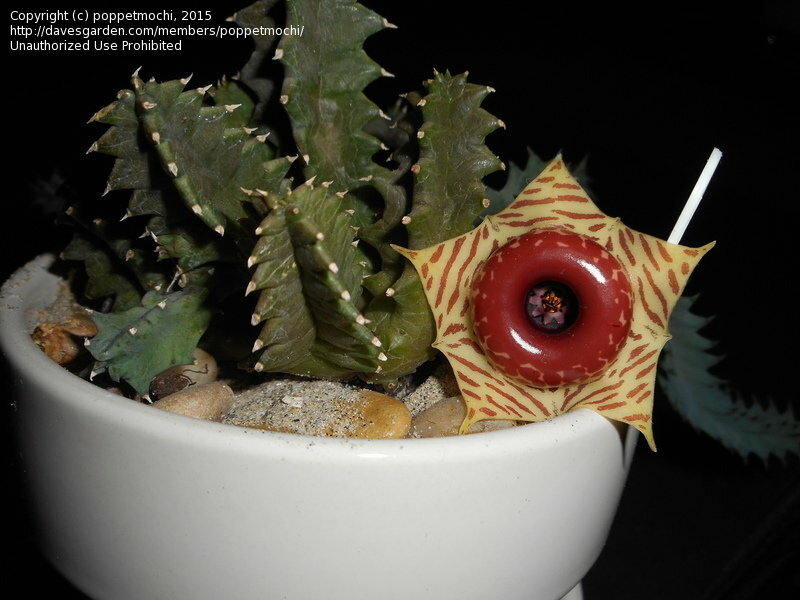 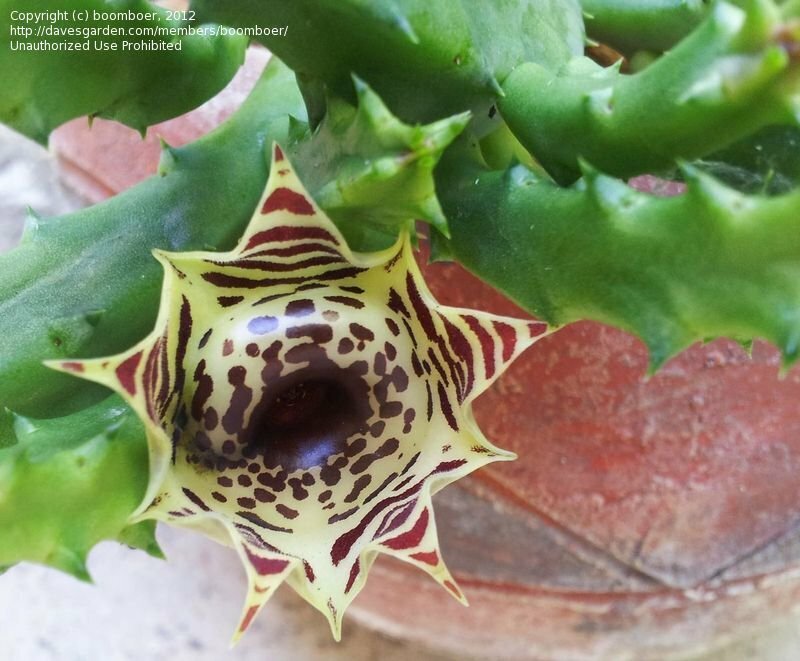 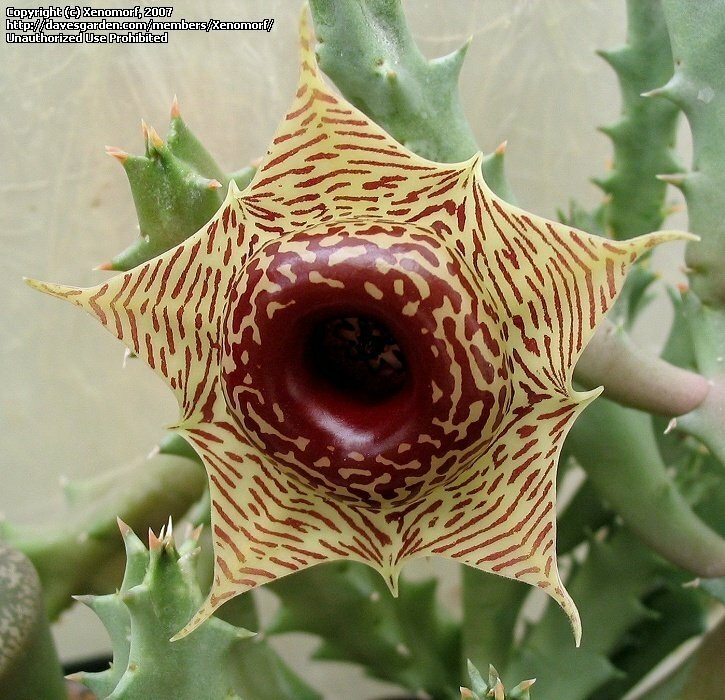 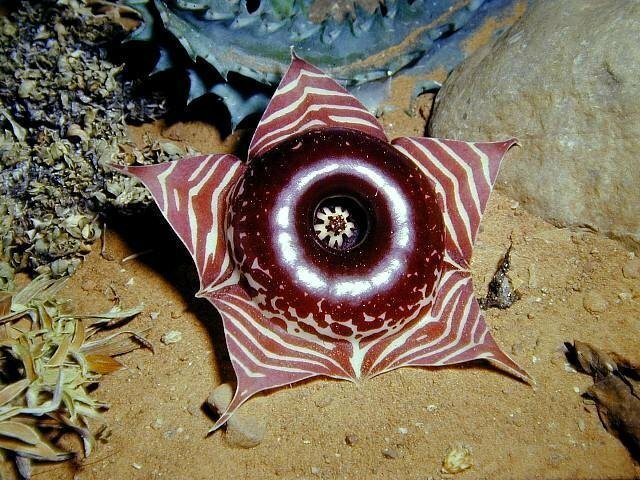 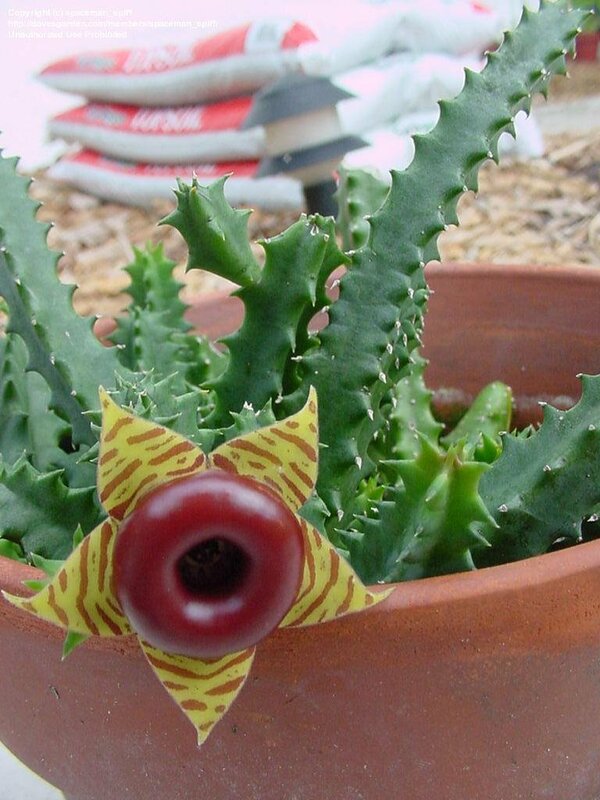 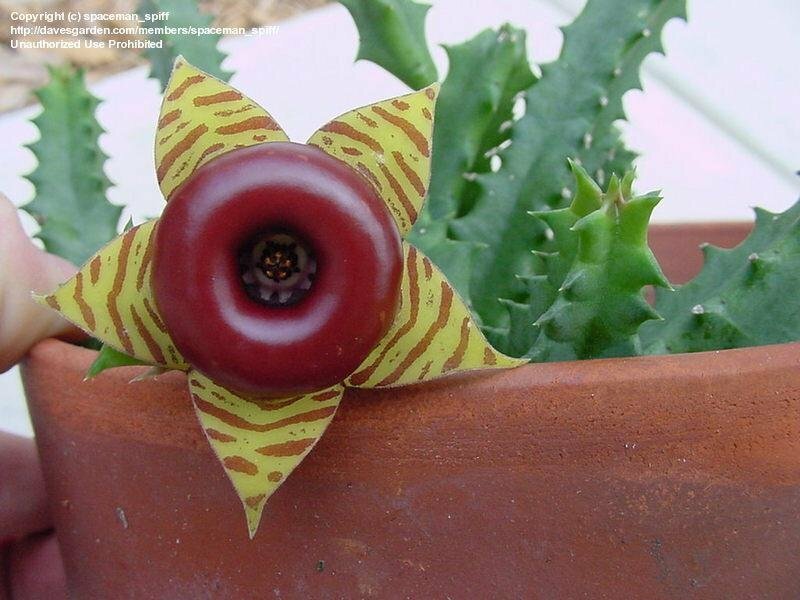 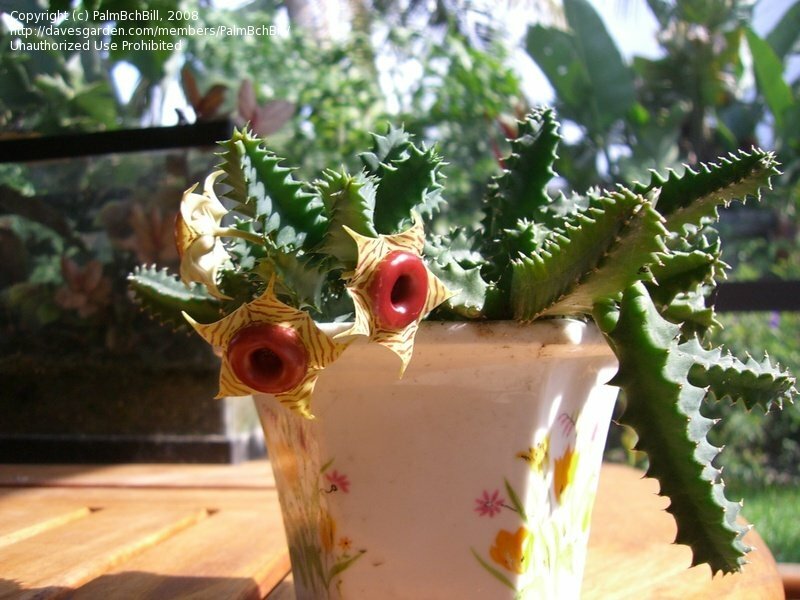 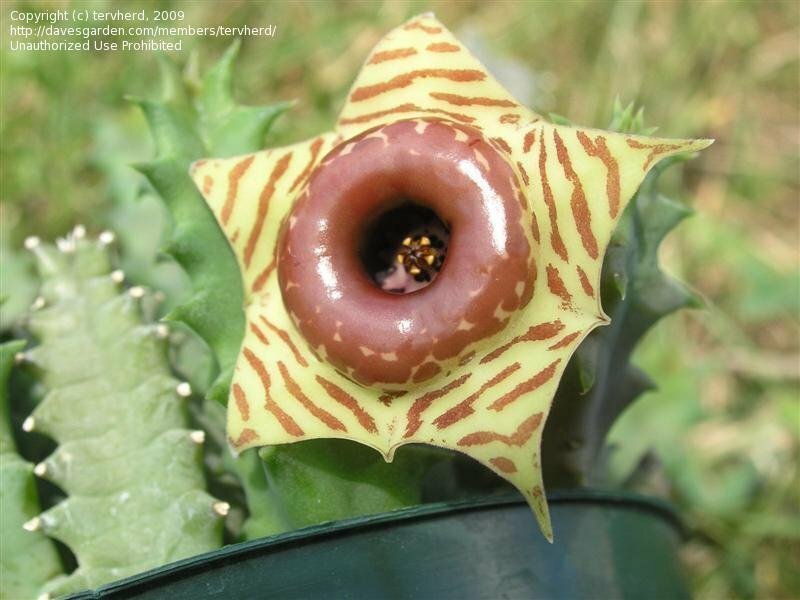 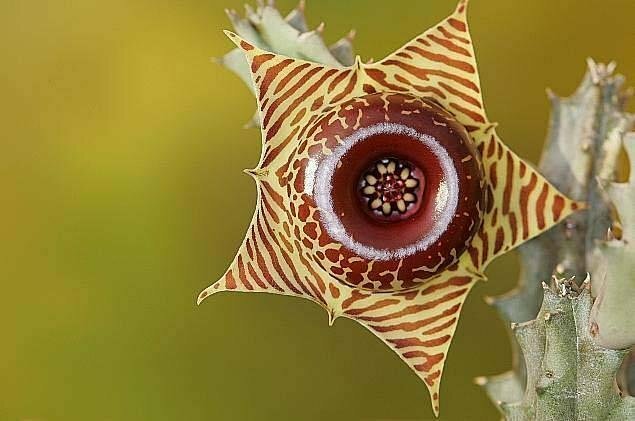 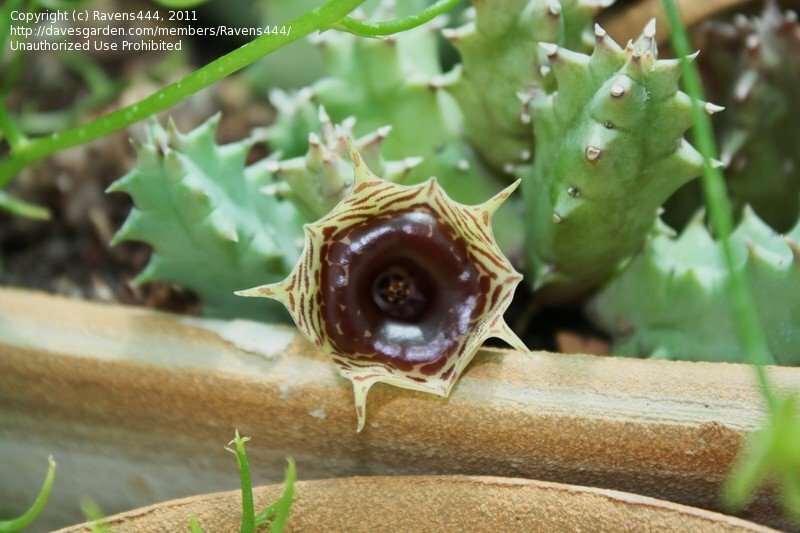 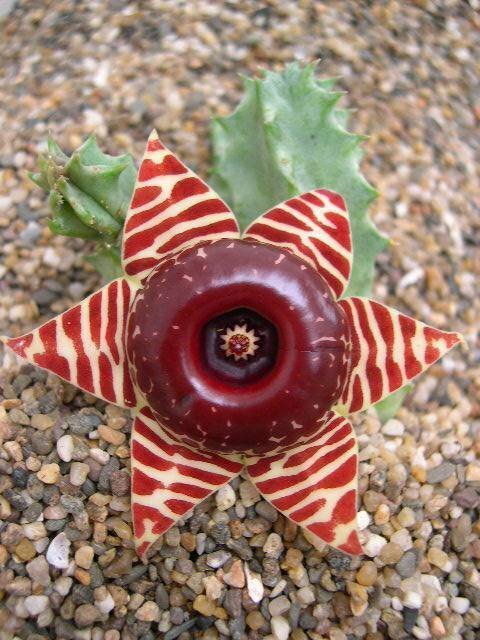 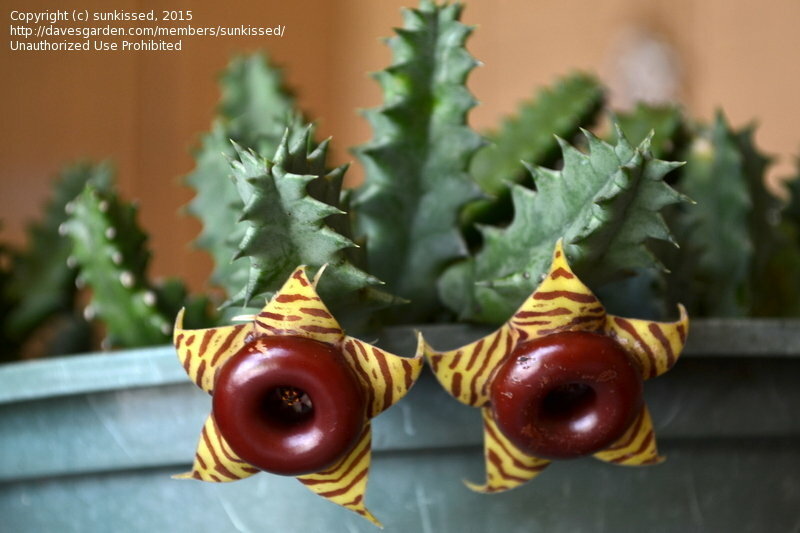 Flower is about 1" across; plant is also called "Lifesaver Plant"
Huernia zebrina (Life Saver plant). 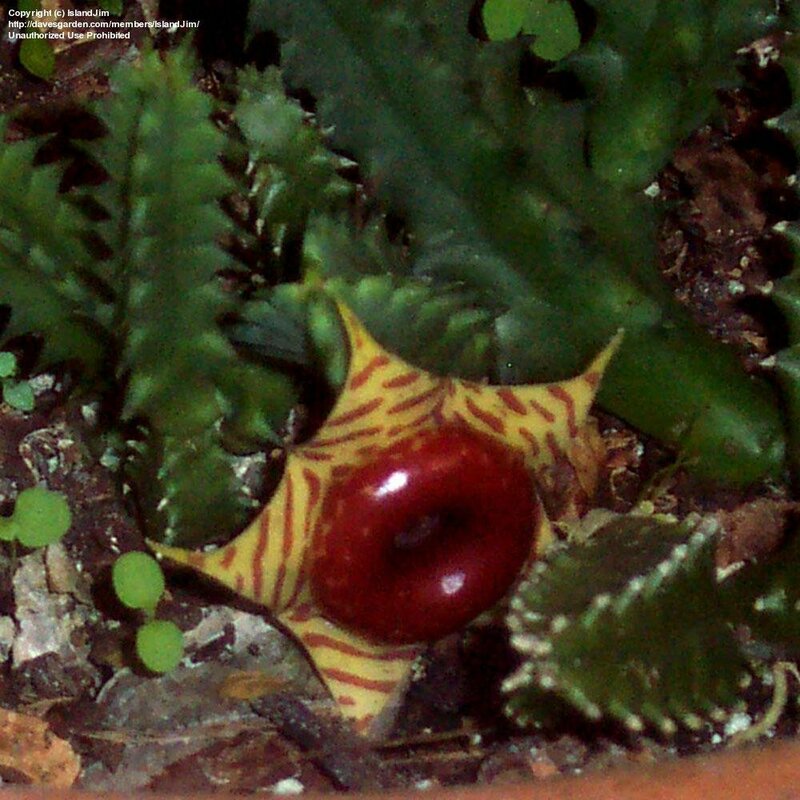 Photo taken 01 Aug 2005, St. Pete, Florida. 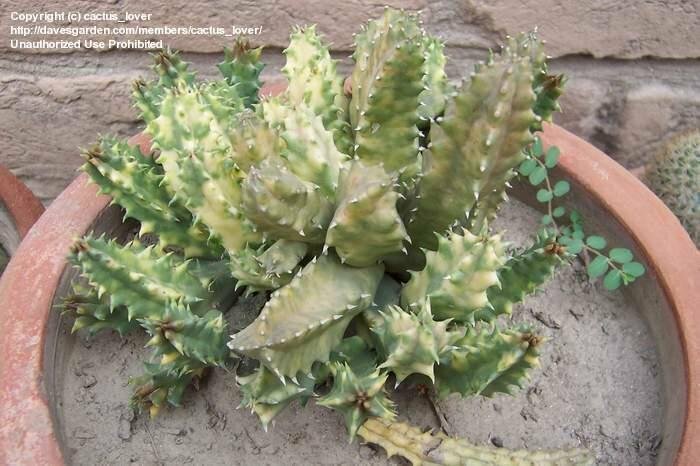 Zone 9b. 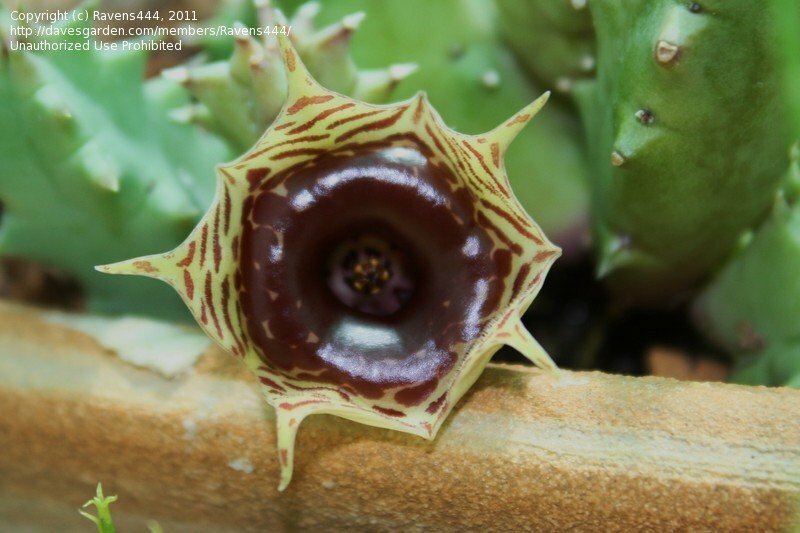 Close-up of bloom of Huernia zebrina (Life Saver plant). 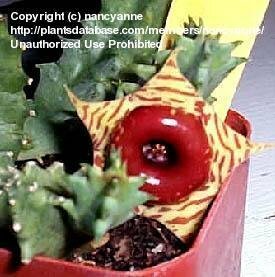 Photo taken 01 Aug 2005, St. Pete, Florida. 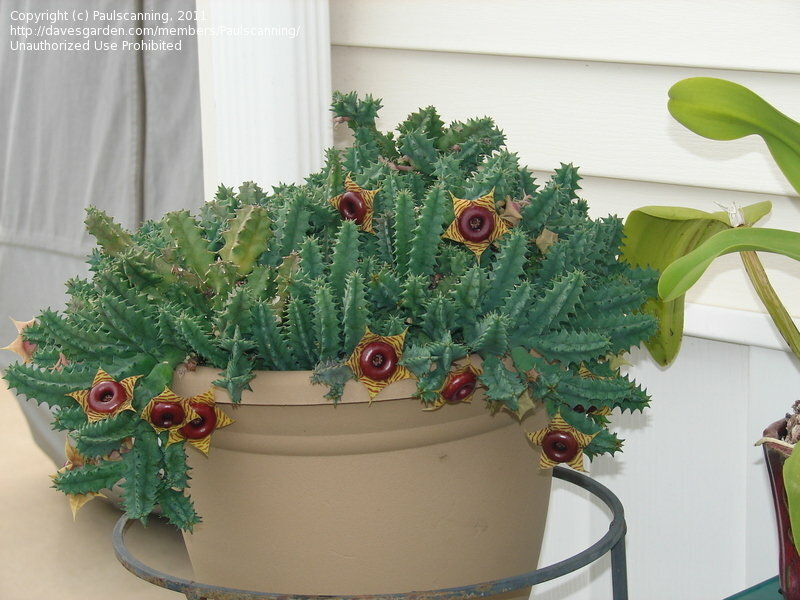 Zone 9b. 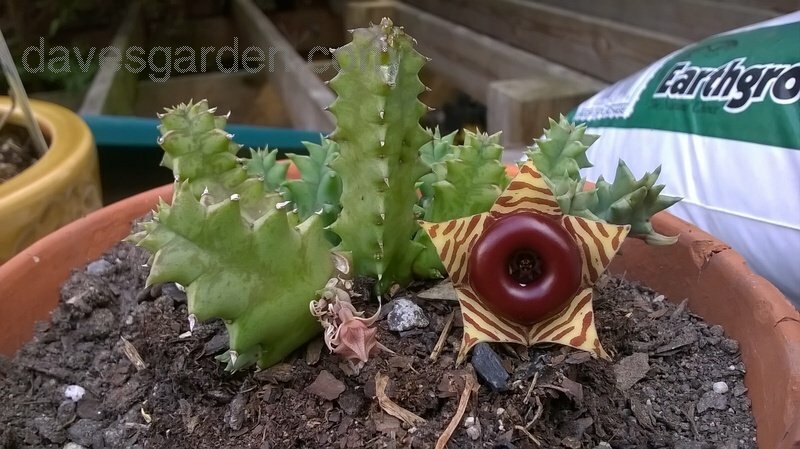 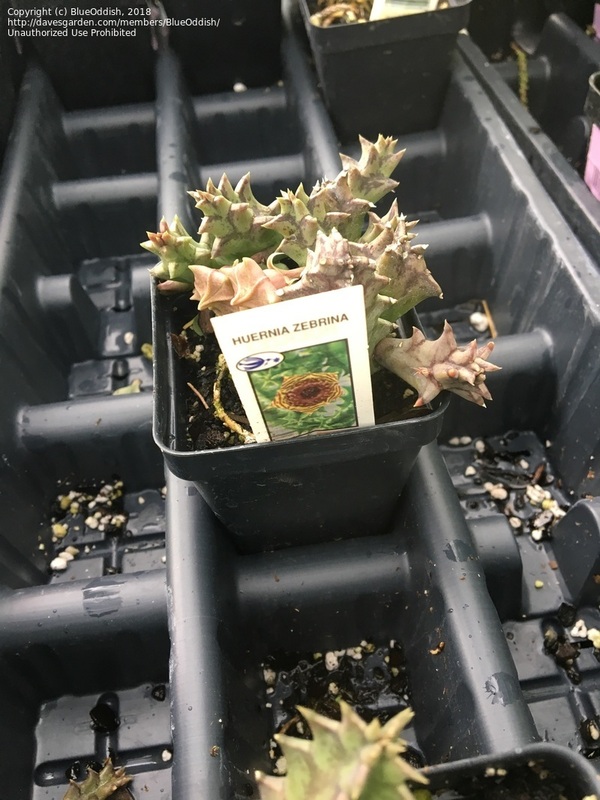 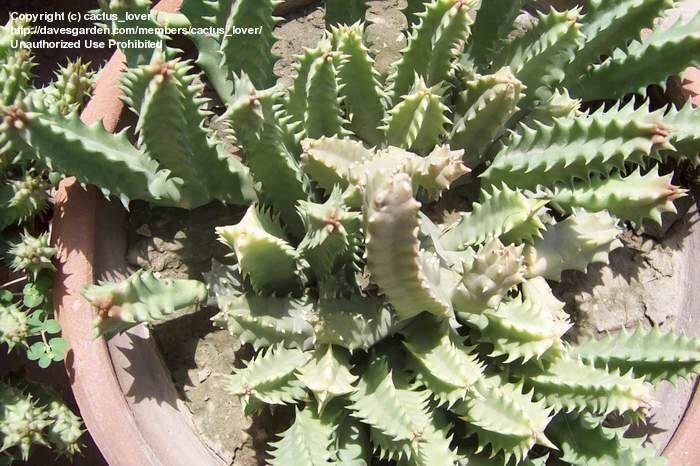 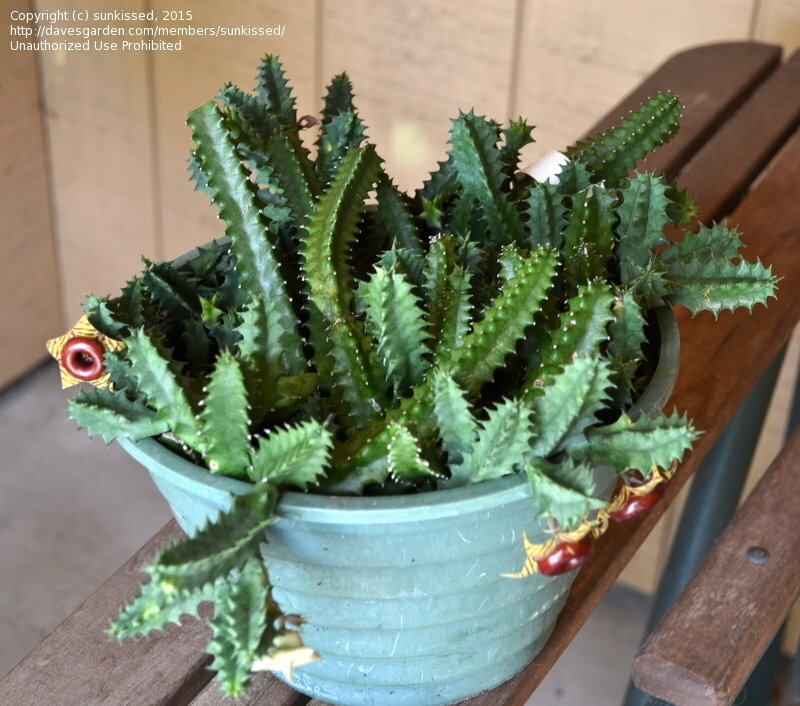 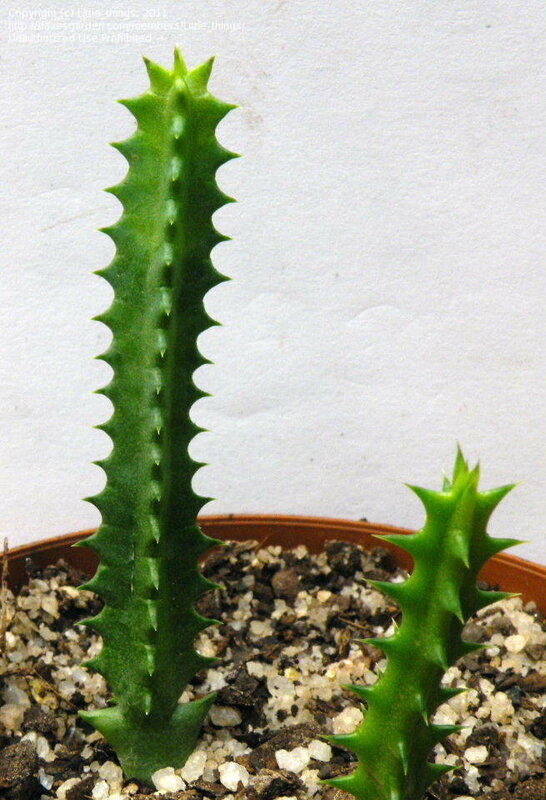 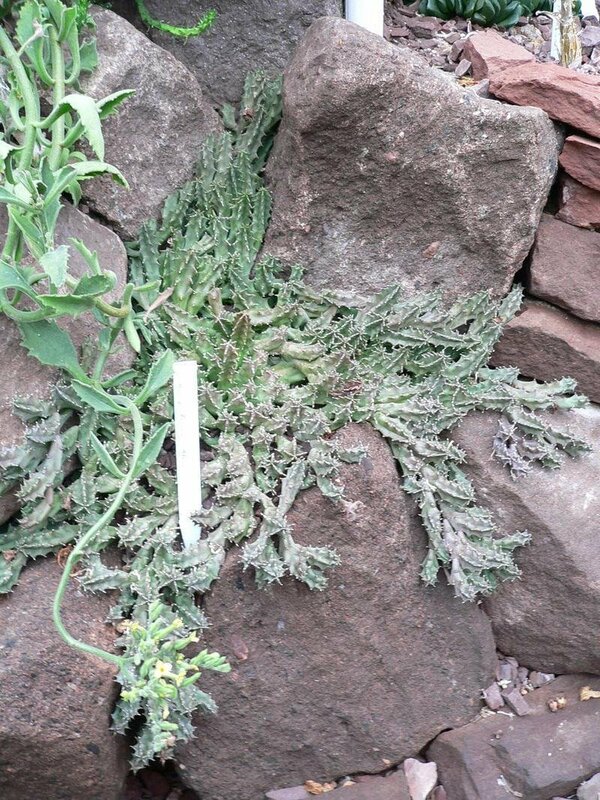 It is a vericated form of Huernia zebrina. 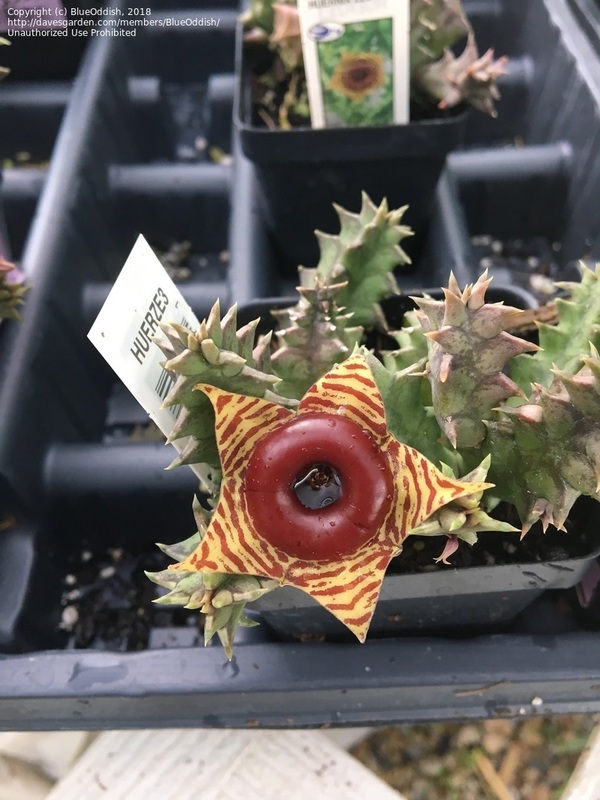 Huernia zebrina blooming in sunny Ohio!